Trying to find the path to a great dental experience? Dr. Drew Beaty, the award-winning Federal Way dentist, is accepting new patients. He offers a full range of preventive, restorative and cosmetic care for patients of all ages. He and his team could be the oral health destination you need. Where do your priorities stand? Of course, you want the best for your family, and great dental care is part of it. Your dentist in Federal Way delivers state of art dental services for patients of all ages. From basic preventive dentistry to accurate and lifelike restorations, to amazing cosmetic treatments that totally revamp your smile aesthetics, you can find it with Drew Beaty DDS. For instance, everyone from children to older adults need good preventive dentistry. 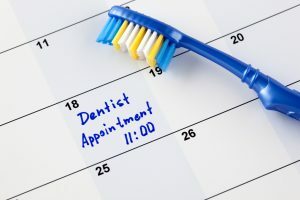 Dr. Beaty asks to see all his patients every six months for cleanings and oral exams, the foundations of a healthy mouth. He also places dental sealants, examines for oral cancer using VELscope enhanced oral assessment and taught the benefits of at-home hygiene and healthy diets. To get to know us better, and to help us get to know you, too, please check out the New Patient section on Dr. Beaty’s website. You’ll find information on our financing options, scheduling and privacy policies and forms you need to fill out before you come into the office. Also, you can read a bit about how your first visit will proceed–how you will meet our staff, get a tour of the office and receive your comprehensive oral examination. We even have a new patient gift for you and will explain our patient referral program and monthly contests. Dr. Beaty looks forward to meeting you. Please contact his office to arrange your new patient appointment.